Home > News > Next-Generation Threats Exposed! The Webroot® 2016 Threat Brief showcases the discoveries made by Webroot’s global Threat Research Team over the past year. It provides an overview of the cyber threat landscape – spanning threats from websites, malicious IPs, malware, and mobile applications. 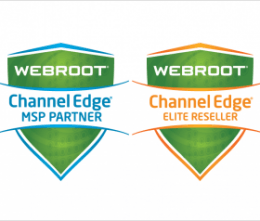 *The statistics presented in this report are based on data automatically captured, analyzed and correlated by the Webroot® Threat Intelligence Platform, a big data security platform that acts as the backbone for all Webroot endpoint solutions and threat intelligence services. Data was gleamed from over 27 billion URLs, 600 million domains, 9 billion file behavior records, 20 million mobile apps, and 10 million connected sensors.